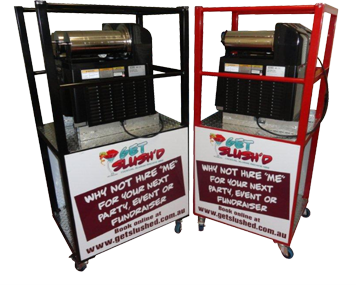 Get Slush'd is a unique company that offers Perfect Party Products to a wide range of customers ranging from domestic households for Birthday parties of all ages, engagements, anniversaries and weddings through to corporate and business functions for company parties, Christmas functions, promotional events and more. Navigating through our site is an easy 3 step process. STEP 1. Browse through our Party Items tab at the top of this page or click on a picture above to view the different products and their inclusions. STEP 2. 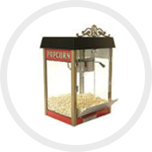 Each Party item page has a button like this, click on it to be taken to our booking page. STEP 3. Add to booking and proceed to our shopping cart. Payments can be Cash on Delivery, Credit Card, Direct Deposit or PayPal. 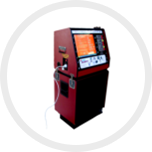 We hire a range of Perfect Party Products including Slushie Machine Hire, Slushy Machine Hire, Slurpee Machine Hire, Slush Machine Hire, Cocktail machine hire, SnowCone machine hire, Jukebox machine hire, Karaoke machine hire, Daiquiri machine hire, Spit Roast hire, Candy Floss machine hire, PopCorn machine hire and table top Arcade game. 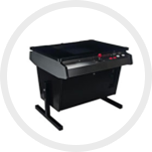 We are dedicated to delivering high-quality machines and equipment topped with 1st Class service so your party or event will be the talk of the town the next day! All our cocktail mixes are blended together with the highest quality fruit juices to ultimately deliver the best frozen cocktails you will find! Whether it's the kids enjoying the delightful tastes and flavours from our kid's flavours or the Adult's ripping into the heavenly indulgence of our wonderful "Adult" cocktail flavours or leave out the alcohol for a delightful mocktail that the kids can also enjoy, there's ONE thing for certain.......everyone will enjoy and remember the time spent at YOUR PLACE with the tropical, Fruity or tantalizing tastes that can only come from delicious fresh fruit ingredients and juices to deliver tasty Cocktails and/or Slushies/Slushys. Not sure if there will be enough to serve all your guests? 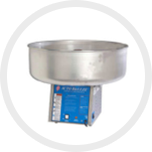 Each slushie mix will make 12 litres PER BOWL; our serving cups supplied are 200mls each and you should get approximately 60 serves per bowl (120 x 200mls Twin bowl). The Adult cocktail mix will make 12 litre's when adding in your alcohol to our GREAT tasting flavours (or leave out the alcohol for great tasting fruity Mocktails), so again approx 60 serves per Bowl, 120 drinks from our Twin Bowl machines (as pictures). Additional pre-mixes are available for both the kids and/or Adults menu at unbelievable prices of just $30.00 (per side), and at these prices, why wouldn't you add 1 or 2. 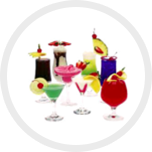 Click here to check out our Adult Cocktails or Kids Slushies flavours. Additional mixes can be added at the shopping cart stage along with any other additional equipment servings you may need. 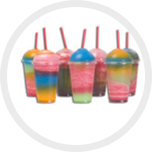 Our frozen Cocktail, Slushy and/Slushie machines are supplied to customers on our specially designed trolleys, for easy use by our customers. This also saves you from using your own tables or bench's, which may not even hold the weight (approx 100kgs) of the machine. Some competitors answer is for you to hire yet another item, a table. All this adds up to more wasted expense, expense in today's times is hard to find, we understand this, and again when you compare prices, you will see our frozen Cocktail, Slushy, Slushie machines low price INCLUDES this. But you're right! There's more than just price. Our commitment to service again leads the way, from our easy to use and navigate website with online booking and payment options through to Delivery, Pick up and Cleaning.....YEP, our prices include enough premix for the desired frozen Cocktail/Slushy/Slushie hired, Delivery/Set up and Pick up/Cleaning. Get Slush'd offer a hassle free experience, just what you need when all you want to do is enjoy that special time with family and/or friends. 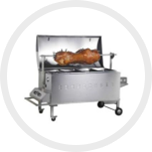 Spit roast your way to success! Challenge Your Guests To Battle It Out! Guaranteed to make you a profit! So how can we GUARANTEE you a PROFIT! 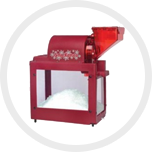 We offer you our machine or machines and pre mixes at NO COST, you "man" and serve at your fund raiser and we will split the sales with you 50/50. You cant get any better than that, the only cost to you, which will come out of your portion of the profit, is the cost of cups and straws. There's no easier way to guarantee your fund raiser will generate those extra funds needed. To enquire about this option simply click here contact us.